I finally got that push to motivate me to take the IRA written. the FAA rolling out new developments in the written exams on June 13th. I don’t want all the studying I’ve done so far go to waste, so I’m finally ramping up my studying! I’m planning to take the written within the week, hopefully! I’ve identified my weak areas and plan to attack those today and tomorrow. To study, I do use Sheppard Air and I have no shame in it. I used it for my ADX and got in the high 90s. The way the FAA written exams are currently don’t really test knowledge as well as they should. They’re probably as useful as the SAT, which I loathed. Now, there is that age old argument that you need to actually know the knowledge on the written. Yes, some questions you do and the stuff I really do need to learn I’ll learn for the oral and practical. It’s interesting to see how my knowledge is in different areas since Sheppard Air splits the learning up into different categories. Weather – I’m a rock star. Though I have to stay, on my daily basis of planning flights I don’t use half the charts they reference. There are many better tools out there now for weather prediction and observations, I hope they begin to incorporate them into training and the writtens. The IFR navigation is where I have to study and learn. I’m in a unique situation where I do know a lot about some IFR knoweldge. I can read Jepp charts easily, for planning purposes I’m good. I know the Part 121 regulations and Operations Specifications of my airline in regards to alternate minimums and navigation very well. I need to transition it to Part 91 knowledge and know the differences. Actually flying the plan and reading the gauges….I need to learn too, but that’s what this is about! I hope to have some good news to share soon with you all and achieve one of my goals for this year! Can you believe it’s been almost a year since I actually flew in the air? Heck, it’s been almost a year since I got to fly the sweet A320 sim! How on earth did that happen? Oh yeah….work, money, life. It’s way to easy to not fly and it’s difficult to fly in many ways – you need extra money, time away from other commitments, and the weather to hold up. 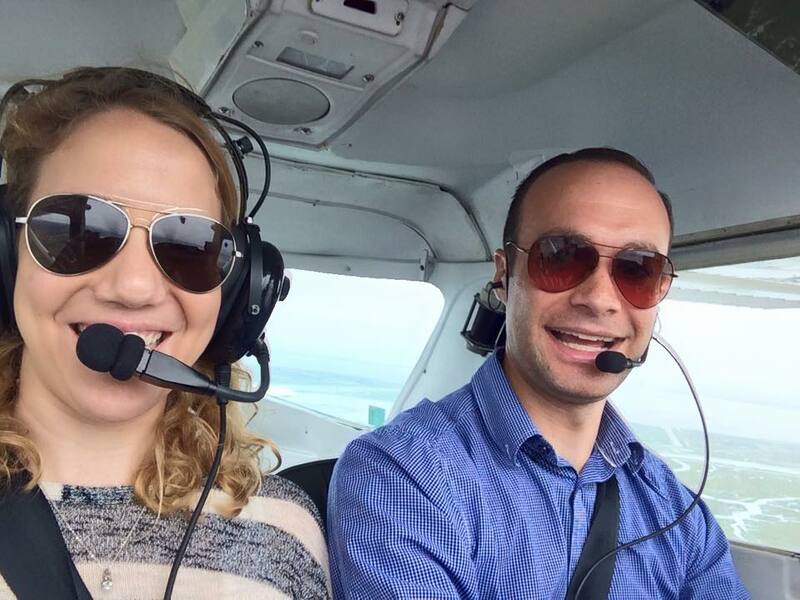 But finally we got around to flying! Jake and I joined a club in the area and he got checked out yesterday in one of their aircraft and we went flying together today. I’m a bit rusty and need to brush up so will schedule my check out later. Today he took me up to show me the area and the ridiculous amount of reporting points this tower has. We talked to the front desk woman – who is really nice and helpful – and she was saying what a shock it is to fly here. I said I learned in the NY area so it shouldn’t be such a big shock. Well, actually, this place is so much more condensed than where I learned. Pattern altitude is only 800ft since Bravo airspace is at 1500ft above the field (on one side). There is noise abatement which keeps traffic to the east of the field. We saw a 747 landing at the main airport about 5 miles away when in the pattern, crazy! Republic probably had about 2 reporting points maximum one on either side of the field. This airport has a sunken ship as a reporting point! A radio tower, two specific buildings, a highway, and I feel like I’m missing others. Today was about getting me up there and familiar with the area so that’s less time spent paying an instructor to do it. 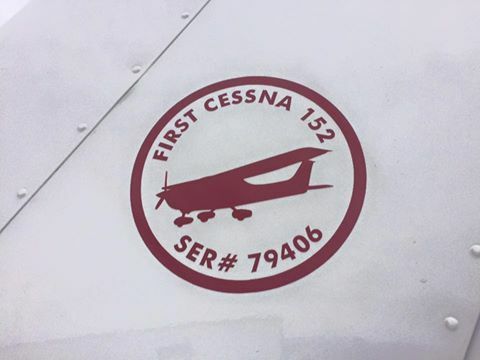 The cool thing about the airplane we flew was it was the first Cessna 152 off the production line – you all know I’m obsessed with Cessna 152s so this was pretty cool to me. It was something on my bucket list that I didn’t even know was on it! It also had 150HP which is powerful for this little airplane! I can’t wait to get my hands on the controls more. I have to say I’m a bit intimidated by the airspace and not having flown for so long but realize we have money and time to spend to get me ready again and I’m looking forward to the challenge. We have a plan in place now to get me more ratings and endorsements this year so I’ll keep you updated! Yay! My BFR is expired so will get current soon. Any suggestions on how you prepared for your BFR?